Sony has just flooded their blog with a bunch of indie game announcements. The PlayStation Vita, PlayStation 3 and PlayStation 4 are definitely seeing the indie love right now! According to PlayStation Strategic Content Speaker, Shahid Kamal Ahmad, there is more news to be had in addition to the titles announced today. In fact, there’s so much stuff coming, that I’m scared I might mention something I shouldn’t without realising it hasn’t been mentioned yet. Let’s jump right in with Jamestown Plus coming to the PS4 from the two brother-founded company, Final Form Games. This shoot ’em up was made with co-op in mind! Mike Primo, Co-Founder of Final Form Games says that he grew up “plugging quarters into Street Fighter II in the arcades,” and that their Saturday mornings were spent sitting on the couch gaming with his brother. Mike and his brother feel that some co-op games were a letdown because simultaneous play isn’t the same as co-op. For us, co-op was about pulling each other’s fat out of the fire when all seemed lost, and celebrating the heartbreaking almost-made-it defeats just as much as the skin-of-our-teeth victories. A great co-op game would be designed to facilitate memorable cooperative triumphs (And failures!) at every turn. We wanted to make co-op games where players of different skill levels could have fun with each other, without wishing they didn’t have someone along to slow them down (or, conversely, to make them feel inadequate). Win or lose, we wanted our players to do it together. Navigate your narwhal to tag your opponent’s heart and protect your own in Starwhal: Just the Tip, coming to PS3 and PS4. 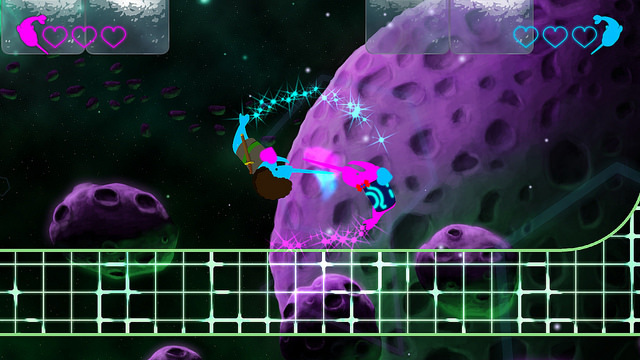 The best explanation of the game I’ve seen comes from Jason Nuyens, a developer for Breakfall, who says: “Starwhal is superficially silly and narratively vacant, but somehow something so much deeper when you get a group of people wrangling space mammals in mortal combat.” The game is built around playing with friends, and features a Challenge and Versus Mode. Find out more about the game on their Kickstarter, which was funded late last year. Click here to verify your age and watch the trailer. 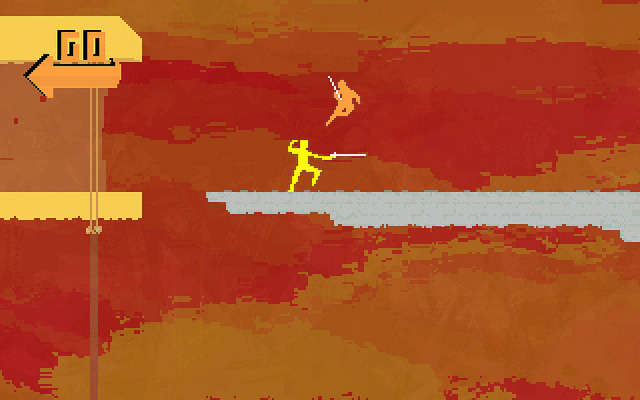 Enjoy some sidescrolling competition with Nidhogg from Messhof on the PS4. I watched the trailer for this, and you can too — just click here. This game looks quite simple and fun. The creators of the game think that it has always been best enjoyed with a controller, and are excited about it coming to the PS4. Speaking of a controller, they have put the light bar to use and it will reflect the color of your fencer. You can play locally or online with friends, or take advantage of the AI personalities to practice against in a single player training mode. 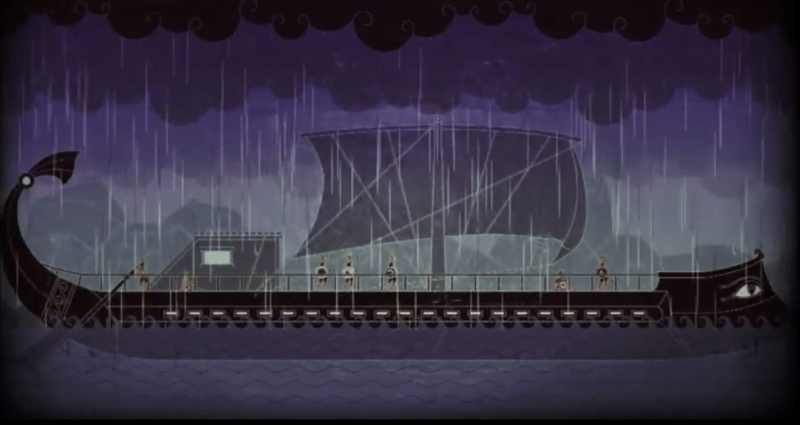 Another sidescrolling title, with a few other elements thrown into the mix coming to the PS4 is Apotheon from Alien Trap Games. This title offers a 2D perspective with heroes fighting monsters and magical goat men… with no pants. Really. Click here for the trailer. You can move, jump, attack, block, roll and throw, as well as learn skills like timing, positioning and reading your opponent’s movements. The combat is the heart of what makes Apotheon a fighter, and the world and contents within give it some adventure. 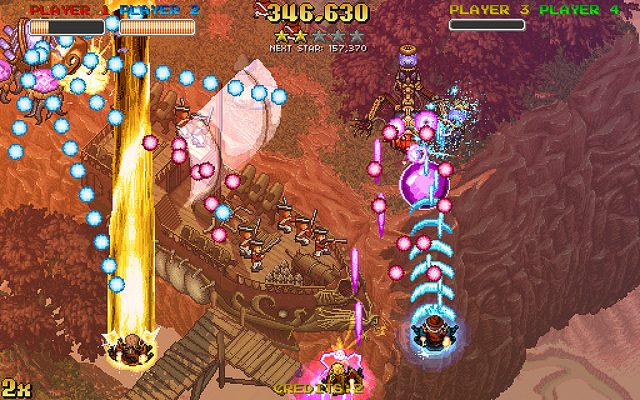 Swords break, spears snap and shields shatter as you take on the Gods of Olympus. You won’t find your basic RPG elements here. There isn’t any leveling or ability trees, but there are plenty of treasure chests and caves to find and explore. Skulls of the Shogun from 17-BIT is coming to the PS4 in what hopes to be the ultimate version of this turn-based strategy game in the Bone-a-Fide Edition. This game is a mix of strategy and fighting styles that has been engineered for quick rounds, strategic play and a frequently inappropriate sense of humor! It offers single and multiplayer as you play as General Akamoto who happens to be Japan’s greatest Shogun. Though I might call that into question, since he has been stabbed in the back and taken to the Samurai Afterlife. An imposter takes your place, and you need to take him down and take back your honor as a Shogun… of the Dead! Single player offers 10 hours of gamepay as you build up your undead army, assemble your infantry, archers and scouts, as well as animal monks. The Bone-a-Fied Edition adds another hour or so of gameplay with a new single player episode, which makes the total number of missions 24. Play as a new visitor to the Shores of the Dead who is dead-set on taking down General Akamoto. Multiplayer supports async multiplayer to battle friends and foes. There is also a Team Deathmatch with a Deadly Alliance feature, that lets you team up with another general. 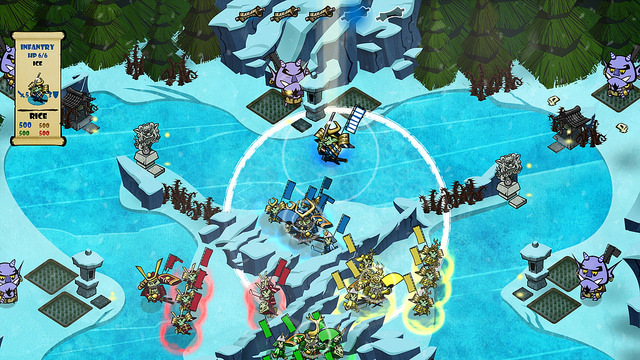 Next up, we have Ironclad Tactics from Zachtronics coming to the PS4. This is the company’s first title to hit the PS4. Until now, they had mainly been developing PC games. 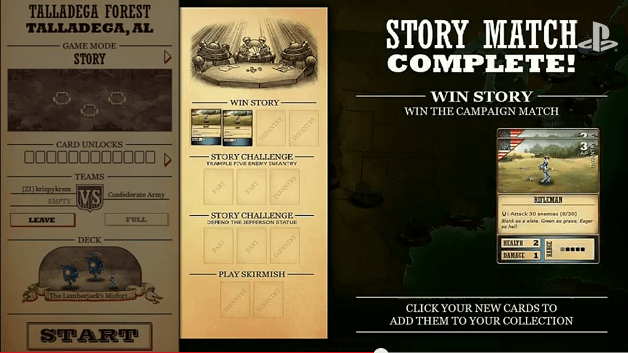 Ironclad Tactics is a card-based tactics game set in the American Civil War… with robots! Sure. The game features an 80-page in-game graphic novel that tells the story of the game. If you hate waiting on the other players to take their turns, this game might be for you. The game is set with 10-second fixed length turns that players take simultaneously. You also don’t have to purchase cards individually or in packs. You win them by playing and completing puzzles and challenges. 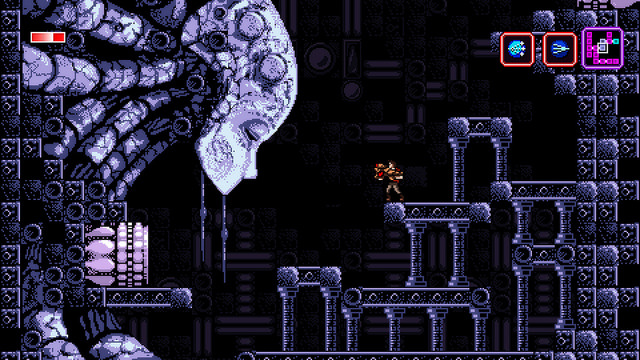 Axiom Verge is a sci-fi sidescroller coming to the PS4 and PS Vita from Thomas Happ Games LLC sometime in 2015. Axiom Verge is a retro-styled 2D “metroidvania” action-adventure, inspired by such classics as Rygar, Contra, Bionic Commando, Blaster Master, and, of course, Metroid. But it also gives you power over glitches like those found in classic games, allowing you to scramble enemies, corrupt environments, and enter hidden areas. Expansive Non-linear Exploration of 9 labyrinthine, interlocking areas. Gobs of unique tools and abilities, loads of weapons, and tons of health/power/attribute upgrades. Combat with dozens of unique creatures and bosses. Glitches allowing you to break past the boundaries of normal gameplay. Speedrun Mode – Play with a streamlined interface and additional features to facilitate speedrunning. Who let the goats out? (Sorry for the bad pun or whatever that was!) 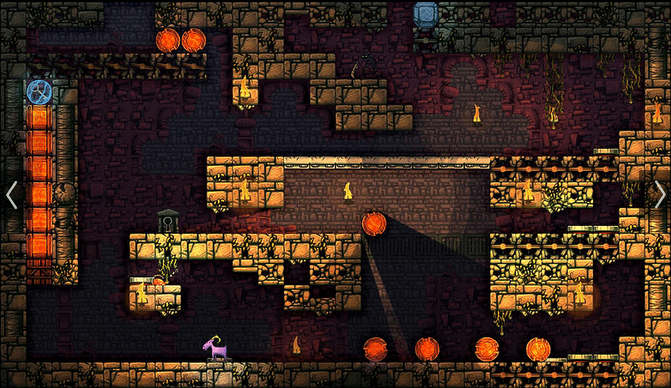 The puzzle platformer title Escape Goat 2 from MagicalTimeBean is coming to the PS4. Goat is on a rescue mission to save his sheep friends! A strange force is keeping them asleep, and you must go into the eight branches of the Stronghold of Toragos to wake them. Work as a team with your trusty immortal mouse familiar. You can send him over walls and through tiny passages or use him to operate remote switches or distract enemies. 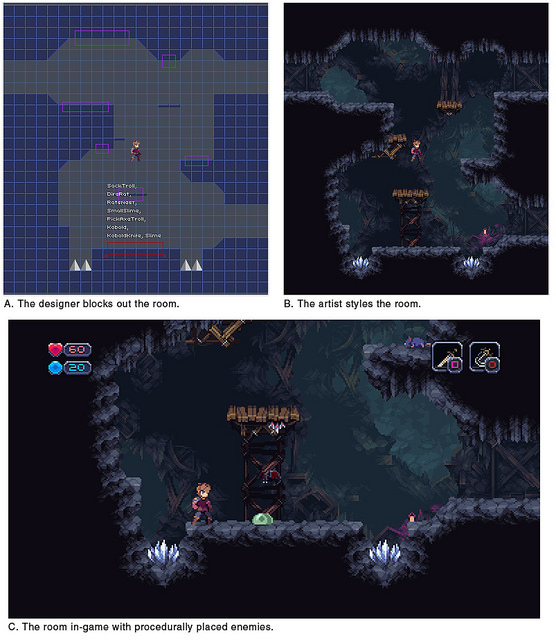 Chasm, and RPG platformer is coming to the PS4 this year. James Petruzzi, producer of Chasm, introduces this game, and called it a “proedurally-generated RPG platformer” where you play as Daltyn and investigate the mysterious disappearance of a mining crew in the town of Karthas. Once you get there, you find out the town has been cut off from the outside world. Supernatural forces are at work! Since you’re trapped, you might as well explore the mines and figure out what the hell is going on. Gain special abilities, evade traps and defeat hordes of deadly enemies to save the Karthas, and possibly the world! Click here for more on the design on the game. Spelunky is coming to PS4. 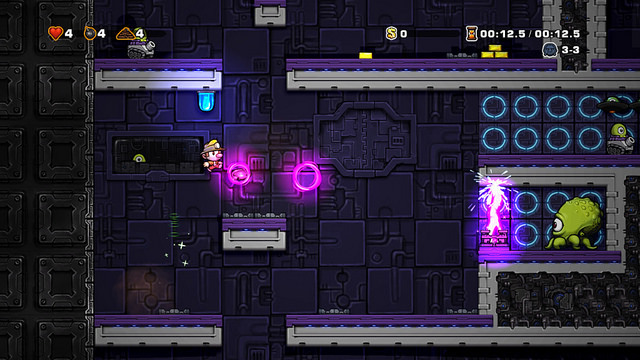 The game is currently available on the PS Vita and PS3, but for the PS4 it features updated graphics (1080p) the ability to upload replays to the leaderboards and more social features in the Daily Challenge. For those of you who have purchased the game on the PS Vita or PS3, you will be getting the game when it comes to the PS4 as part of a cross-buy feature. For those who purchase the PS4 version, you will receive the PS3 and PS Vita versions, as well. You gotta love cross-buy! Drifter from Celsius Game Studios is coming to the PS Vita and PS4. This is an open-world, sandbox space trading game. The procedurally-generated galaxy is 100,000 light years across, and is made up of tens of thousands of star systems to explore. 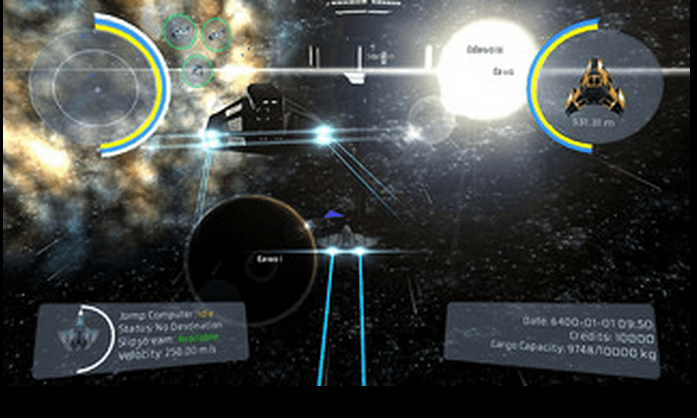 Play as a spaceship captain who earns a living by trading goods between star systems. Hunt pirates for bounties, mine asteroids for ore or become a pirate yourself! View the trailer here. 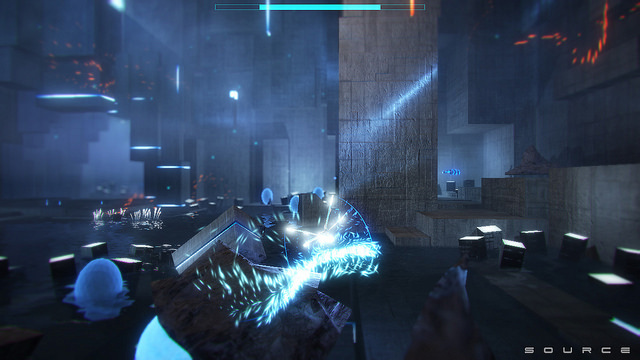 Source is another Metroidvania adventure style game that is coming to the PS4. The game strives to find a mix of a mysterious world to explore, permanent upgrades and a rich visual story that unfolds as you play. The CEO of Fenix Fire, Brian McRae explains the game in great detail on the PS Blog. For those interested (and you should check this out! It’s interesting) click here.